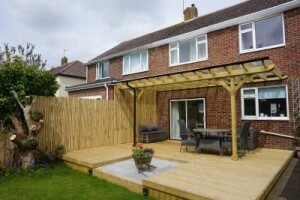 Would you like a beautiful garden to compliment your home in Poole? Then you need to get in contact with Bamboo Landscapes today; we are the leading provider for landscaping design in Poole. Whether you have a design idea for your garden in mind, or you need inspirational help from our team, when you hire Bamboo Landscapes, the finished garden result will be your idea of perfection. Having a stunning front and back garden is the ideal way to make a property look and feel like a real home. A picturesque garden not only gives a great first impression to guests and friends visiting your home, but a great landscaping design in Poole will also make your property more valuable to prospective buyers. When you hire Bamboo Landscapes to complete your Poole landscaping design, we will work closely with you to create a plan that is completely bespoke to your garden and your requirements. Our design team will assess the shape and size of your garden in Poole; then combine your design visions with the space that is available to really utilise the area. The members of Bamboo Landscapes are all professional and highly qualified landscapers and gardeners. When you hire our company to do your landscaping design in Poole, we will use our expertise in architecture, soil, surveying, botany, environmental sustainability and foliage to bring your garden design visions to life. Our creative team will provide you with advice about both landscaping types; hard landscaping and soft landscaping, and what will suit your garden space. The check-a-trade score that we possess of 9.72 is testament to how well respected and celebrated our landscaping design in Poole creation are, and how well Bamboo Landscapes is doing in the gardening industry. Become inspired with our Bamboo Landscapes landscaping design in Poole projects that we have completed in the past; by viewing our gallery. 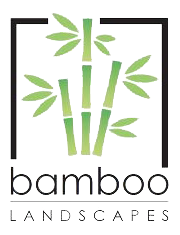 To receive the very best team for landscaping design in Poole, get in touch with Bamboo Landscapes today. Call us on 01202 805882 and together; we will create a stunning garden for your Poole property that you will adore.